Hello, my crafty friends, and welcome back to another week on Stamp and Scrapbook Expo’s blog. Since you’re here that must mean that you are ready for some creative therapy, so grab your favorite drink and let’s get started on some fun projects! I hope you will be inspired to take some time today and head right to your craft room, start creating, and enjoy doing the things you love to do! I hope you have had a fabulous Saturday! Do you use stencils in your scrapbooks? Have you had a chance to play with Art Crayons? 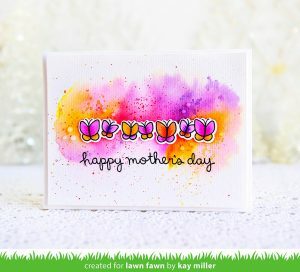 Mandy created her layout using Vicki Boutin stencils and iridescent glaze with the added richness of color from the Art Crayons. This is certainly a great way to personalize the background while getting the exact look you are going for. Mandy certainly has created a beautiful masterpiece. We all know how much texture and dimension add to a layout. Mandy’s layout is full of all kinds of beautiful elements; she has such a great way of giving layouts a nice contrast. 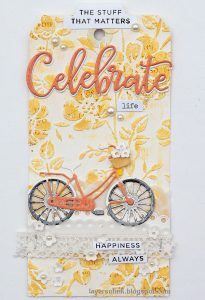 Let me take you on over to Mandy Melville My Happy Place where you can find step-by-step instructions along with a video of Mandy’s tips and techniques used to create this precious layout. Take some time while you are visiting her blog to see many more of her wonderful creations. You will certainly leave feeling very inspired. Whether you are scrapbooking, making cards, using mixed media, or creating any other paper craft, it is so fun to work with stamps. You can create a very distinctive background using various elements and a shape as a repeating pattern. 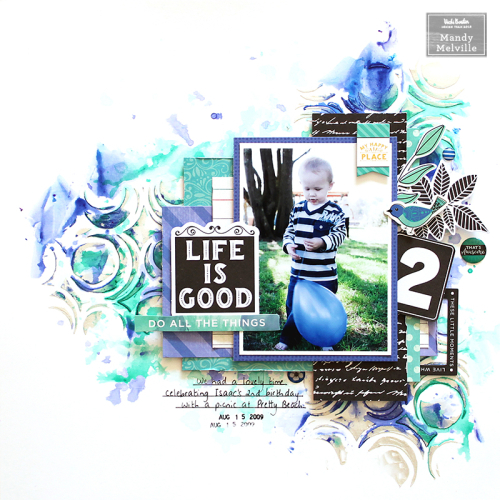 Lorraine created a masterpiece background using distress oxide Inks. You know me, I always go crazy about a creative and unique background! Lorraine colored the leaves and butterflies using her Zig pens. One card can look many different ways with the use of color, embellishments, and textures. It is so fun to create a card that expresses your personality. Who wouldn’t love to receive one of your handmade cards? They will be treasured forever! 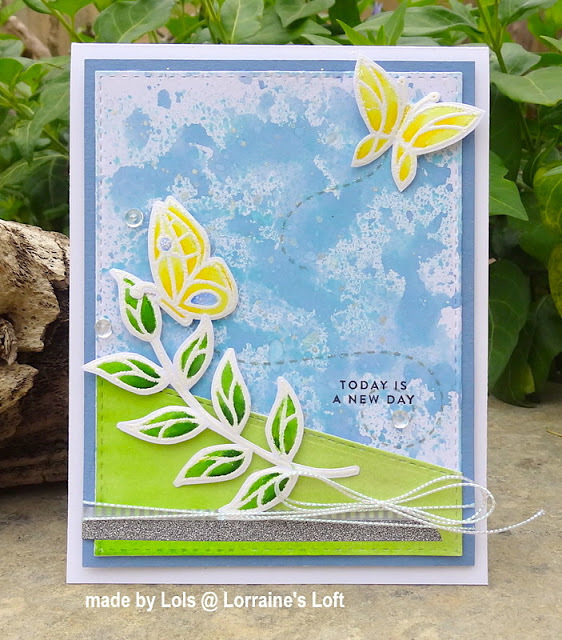 Click here and I will take you over to Lorraine’s Loft where you can see all of the supplies she used to create this beautiful card. Lorraine always has so many wonderful projects to share that you are sure to be lifted up by her talent! Don’t you just love pottery that looks weathered or aged? Terracotta, as it is, can be relatively inexpensive. This technique for an instantly aging terracotta pot is the quickest way to age a terracotta pot. These would be a great addition to your home decor and will bring an instant feeling of freshness when used with flowers or plants. Diana will show you just how easy it is to transform new terracotta pots into aged, weathered looking ones in just a few easy steps. She also shares some amazing French labels that she created especially for this project. You can get so creative using these labels on jars, cups, bowls, etc. 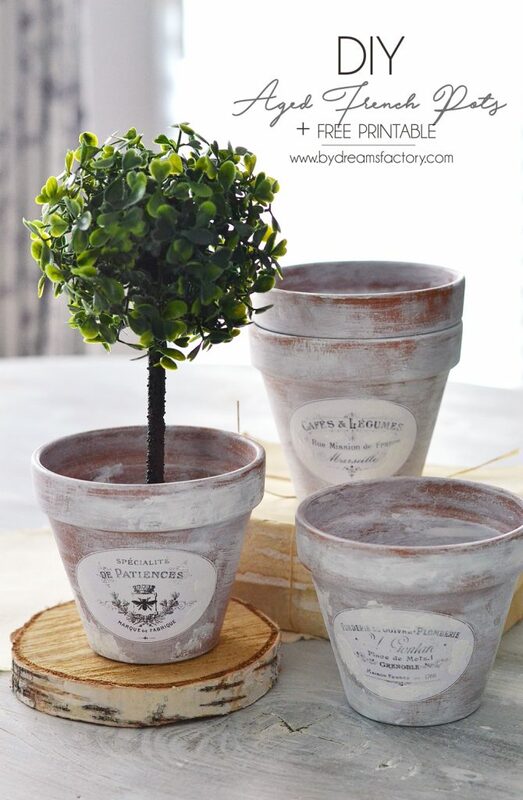 Now that you are so excited, come with me on over to Dreams Factory where you will find all the materials you need to create your aged French terracotta pots. You will have so much fun you won’t know when to stop! Have fun creating, my friends! 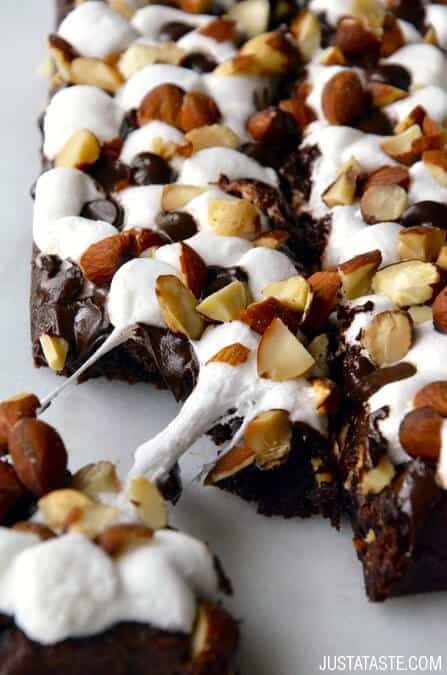 These homemade brownies are baked and then topped with chocolate chips, salted almonds, and mini marshmallows before going back into the oven for a burst of heat that makes the marshmallows melt into the fudgy base below. You cannot show up to a party empty-handed, so do the right thing and bring a batch of these rocky road brownies with you. You will be the star of the party! I bet your mouth is watering just looking at the photo! These are definitely a treat you can’t walk away from having eaten only one. You will want to make a double batch because I can guarantee they will all be eaten up very quickly. Let me take you on over to Just A Taste where Kelly will share her recipe. You may want to make several copies of the recipe for your family and friends because this is one recipe they will keep asking for. Enjoy! Thank you so much for stopping by today. 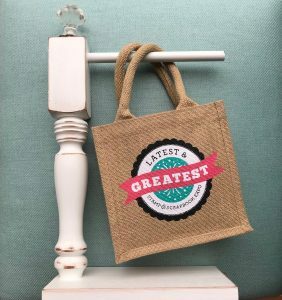 I hope you have been inspired by these great ideas and will have a fun crafting day! Be sure to visit the individual blogs I have shared with you to see more details on these fabulous projects. Enjoy the rest of your weekend! This entry was posted in At Home, Card Making, Home Decor, How To, Recipes, Saturdays With LeAnn, Scrapbooking, Stamp & Scrapbook Expo, Stamping and tagged Almonds, Art Crayons, Brownies, dessert, dimension, Distinctive Backgrounds, Distress Oxide Inks, Distressing, DIY Projects, Dreams Factory, Free Graphics, handmade cards, Home Decor, Iridescent Glaze, Just A Taste, Kelly Senyei, Lorraine's Loft, Mandy Melville My Happy Place, marshmallow, Mixed Media, Painting, Stamps, Stencils, Terracotta Pots, texture, Vicki BoutinI, video, Zig Pens.